On July 22nd this year a very special meeting was held at the Crown Hotel in Lyndhurst. Attended by Lord Montagu, the Hon. 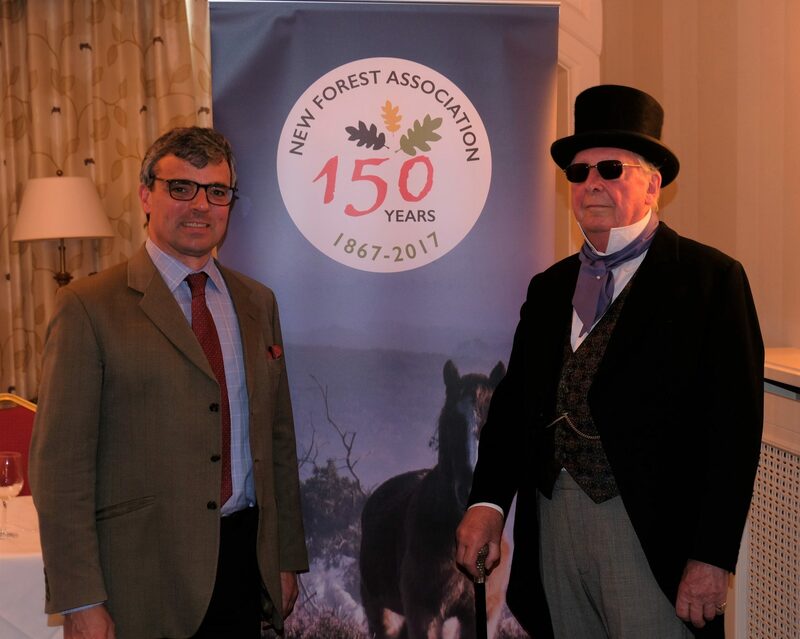 Mary Montagu Scott, Lord Manners and Mr Oliver Crosthwaite Eyre among others, it was to celebrate the 150th anniversary of the founding of the New Forest Association, now known as the Friends of the New Forest. And the special guests were there because their ancestors were in at the start. Why was the Association established in the first place? In 1867 the New Forest was under a very real threat to enclose all usable parts of the Crown lands for timber production and sell off the remainder. This had happened in many other Royal Forests in the preceding 60 years. Adjacent landowners were concerned about their tenants, who were smallholders relying on common rights for their animals to graze the New Forest to supplement their income. The leading lights were W.C.D. (Clement) Esdaile, George Briscoe-Eyre and Lord Henry Scott (later to become Lord Montagu). Ten of these landowners met in London in June 1867 at the Chelsea home of George Eyre and his son Briscoe to discuss the problem and agreed that something must be done. In very British fashion they agreed to set up an association. At a meeting in Lyndhurst in the heart of the New Forest on July 22nd 1867, probably at the Crown Hotel, it was resolved: “That this meeting approves of an Association being formed for the preservation of the open lands of the New Forest, and for the general protection of the Commoners rights over the Forest.” The name of the New Forest Association was swiftly adopted. The purpose of the Association was to find a way of protecting the rights of the commoners and to prevent the break-up of the Forest into timber plantations. The founding secretary, W.C.D. Esdaile, along with George Briscoe Eyre and Lord Henry Scott, worked hard to alert the public to the losses that would occur to the nation if this land was enclosed and lost forever. Two parliamentary reviews, a major London Art Exhibition, scores of letters in the national press and ten years were to pass before the 1877 New Forest Act was made law and the future of the New Forest made certain. The Association was the second environmental body to be set up in Britain, just two years after the Open Spaces Society in 1865. Every time there was a threat to the New Forest, the organisation swung into action and helped to save the day. 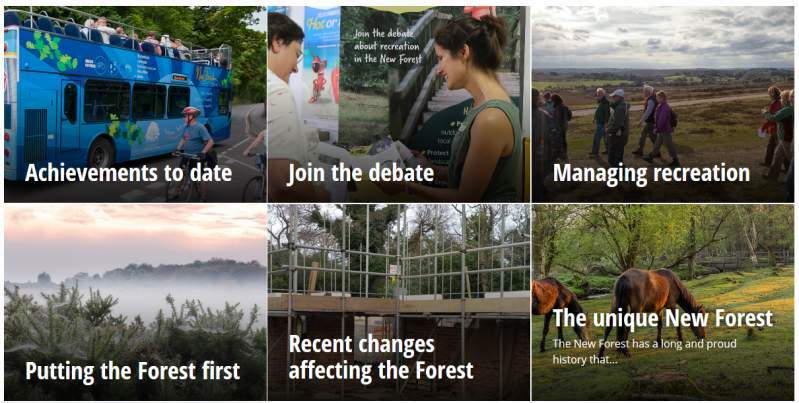 In its 150th anniversary year, it rebranded itself as the Friends of the New Forest in order to explain its role and attract new members. Now as the Forest faces increasing pressures from development and over-use for recreation, it needs its Friends more than ever. Oliver Crosthwaite Eyre, President of the Association, said: ” Only a handful of charities can say that they have existed for 150 years and been so successful and active throughout that time. I think the Founding Fathers of our Association would be enormously proud of what has been achieved by its members over so many generations to protect and conserve the New Forest since 1867. One thing will never change, and that is the shared love of this unique and beautiful place that the Association’s members have always had: that is our strength and it will serve the Association and Forest well for the next 150 years.” He then invited those present to raise a glass to the memory of the Founders and to the Association’s future. The present day meeting was then entertained by actor Desmond Longfield of the Redlynch Players in period costume purporting to be MP Henry Fawcett and reading a speech based loosely on one he made in 1871, albeit with allusions to the current threats facing the Forest. Error: Error validating access token: Session has expired on Sunday, 10-Mar-19 01:16:56 PST. The current time is Wednesday, 24-Apr-19 23:23:03 PDT.